Hello. I am Tami from Kamp Kindergarten. I am sharing information with you today about a man widely respected as the greatest bridge builder of the 1800s in the Deep South. Long before Alan Jackson made the Chattahoochee River famous, it was a big part of my family’s life as I was growing up in West Georgia. I rode the Heard County school bus on Glover Road, a dirt road running dangerously close (with no guard rails) along the side of the river to school in Franklin. When the river flooded as it often did, we had to take alternate routes that significantly lengthened our bus ride. We fished on the Chattahoochee. We boated and water skied on the river after West Point Lake was impounded in 1975. I have camped many nights on the Chattahoochee. I heard many stories from my great-grandmother and grandmother of their childhoods growing up on the Chattahoochee in Troup County in the Liberty Hill area. Many of my family’s Sunday afternoons after church were spent riding down to West Point to observe the progress on the dam that was under construction. The backwaters that would be impounded by the dam meant that many bridges were also constructed. While these bridges are impressive, they are nothing compared to the genius design and craftsmanship of the bridges constructed by Horace King. When I think of the many contributions of African Americans, I always think of an amazing man who is little known outside of Georgia and Alabama. 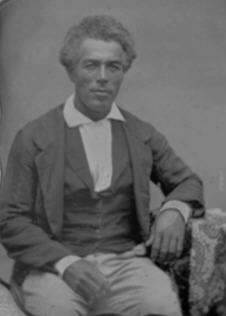 Horace King, born a slave in 1807 in South Carolina, was an architect, engineer, and contractor who built many bridges and other structures in West Georgia and East Alabama. King was tri-racial with European, African, and Catawba Indian ancestry. King also lived in Alabama and Georgia where he died in LaGrange in 1885. 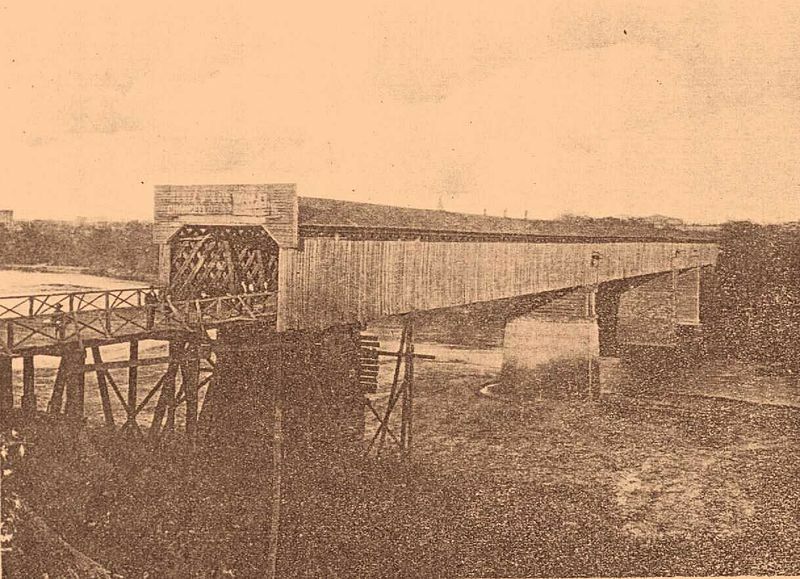 According to an article in the Opelika observer, “In the late 1800s…every bridge that had been built across the Chattahoochee was built by Horace King.” Some sources also attribute King with building cotton warehouses in Apalachicola, Florida. During the Civil War he worked, most likely under duress, constructing ironclad warships for the Confederacy and building obstructions in the Apalachicola River to protect Confederate interests. 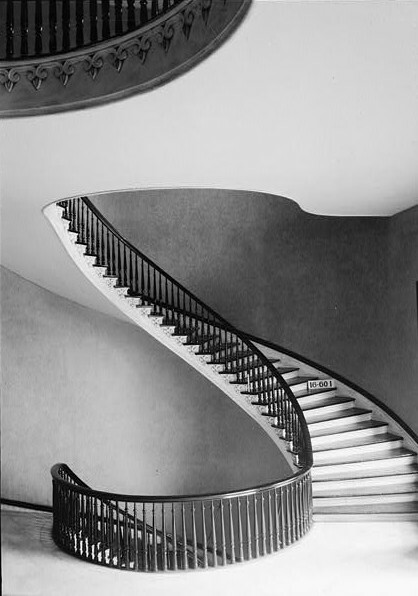 King is credited with designing the elaborate and elegant freestanding spiral staircase in the Alabama State Capitol Building. Various sources mention King building homes, gristmills, textile mills, courthouses, and possibly an Alabama hospital. I found conflicting information about King’s involvement in the hospital project. 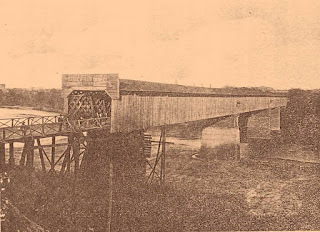 Horace King’s bridges were vital to the economic development of West Georgia and East Alabama. He used a method of construction known as lattice truss. 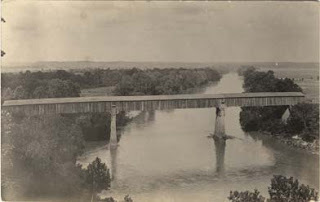 Better known bridges constructed by King include the Columbus City Bridge (Dillingham Street Bridge), the Eufaula Bridge, and the West Point Bridge all spanning the Chattahoochee. It is interesting to note that King negotiated partial ownership of Moore’s Bridge (also over the Chattahoochee) between Carrollton and Newnan so he received a percentage of the tolls collected. Many of King’s bridges were lost in floods or burned during the Civil War. 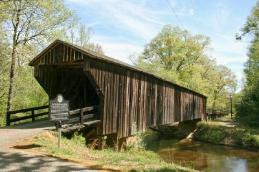 The only Horace King bridge still in use today is in Meriwether County, Georgia over Red Oak Creek. Another King bridge was saved during the construction of West Point Lake and moved to Callaway Gardens. It is not in use. It is little wonder that I find Horace King to be such a fascinating person. His accomplishments were nothing short of amazing for anyone, let alone someone born into slavery. Many of the sources for my research on King draw conclusions about various aspects of his life based on what is known about the area during that time in history and the few documents related to King or people associated with him. 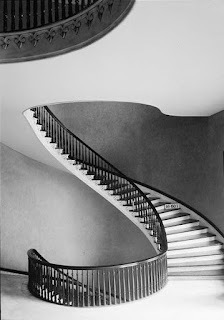 There are very few photographs available due to the fact that photography was so new during Horace King’s lifetime. The photos available are of poor quality due to their age. There are not many records relating to his works. It is pure speculation on my part, but I wonder if many of those records were destroyed when much of the South was burned during the Civil War. It amazes me that Horace King had the opportunity to learn the engineering skills required for his success when it was illegal at that time to teach slaves to read. Some scholars believe that King attended Oberlin College in Ohio, the first US college to admit African American students, but I have been unable to verify this as fact. Many of King’s works were completed while he was still a slave. King was freed in 1846. He was respected in the white and black communities. He served in the Alabama Legislature during Reconstruction. 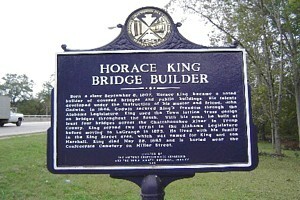 When Horace King moved to LaGrange, Georgia, he and his sons continued in business as King Brothers Bridge Company. When King died in 1885, LaGrange citizens, black and white, were reported to exit their homes and businesses to line the streets and pay their respects as his funeral processional moved through the town. Various sources note that King’s passing was documented in eloquent and detailed obituaries in many large newspapers in Georgia. This was an uncommon honor for an African-American at that time in the south. Posthumous honors for Horace King include being inducted into the Engineers Hall of Fame at the University of Alabama. There are various historical markers around the Chattahoochee Valley honoring King including one on King Street in LaGrange near where he last lived. I am happy to share that Horace King was recently honored with a new historical marker in LaGrange at the cemetery where he is buried. A permanent portrait of King was unveiled at the Alabama State Capitol Building. I hope these honors will spark renewed interest for teachers and students alike in King’s work. At this time there are precious few teaching resources about Horace King. What I found was mostly for upper elementary and middle school students. I was able to locate only one Horace King cross-curricular unit for 4th -7th grade on Teachers Pay Teachers. I found one book, Horace King:Bridges to Freedom for Ages 9 and up. This link has an interactive timeline from his birth to 1989 when he was inducted into the Engineers Hall of Fame. I was hoping to find teaching materials suitable for younger learners, but was unable to locate any. STEM and STEAM bridge building projects offer a great opportunity to introduce King to learners in the lower grades. Craft sticks lend themselves well to lattice truss construction. Other materials and methods can also be explored and compared to the craft stick lattice truss construction. Teachers wishing to learn more about Horace King can read information at the links provided in the credits. The Troup County Archives is an excellent resource for anyone interested in the life and works of Horace King. I hope you have enjoyed reading about Horace King. Please share any information and teaching ideas you may have about Horace King. I would love to see them. This article contains an affiliate link for your convenience. I will receive a small percentage of any sales made through this link at no extra cost to you. Pictures for this post are public domain images unless otherwise noted and credited. VERY interesting! Isn't it amazing how much conflicting information you find while researching a person? Have you ever tried speaking with someone from the historical society? I've done that with a few of my social studies/history projects. Those people are more than willing to talk with you! Trying to communicate with Tami Steele regarding her article on the covered bridge builder Horace King. I,too,am a big enthusiast on the Horace King legacy . Want to eventually put together a program on his life & exploits . Another grt book on the subject : "Bridging Rivers in the Deep South", by Thomas L. French . How to play Kahoot without student devices!